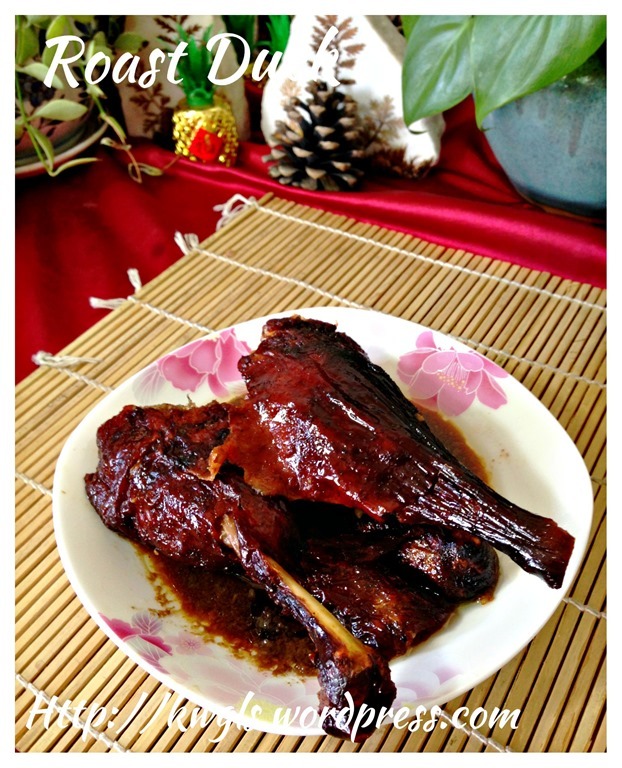 I am very busy baking my Chinese New Year cookies and I am rushing out this post as Facebook members are waiting for this recipe for Chinese New Year reunion dinner. 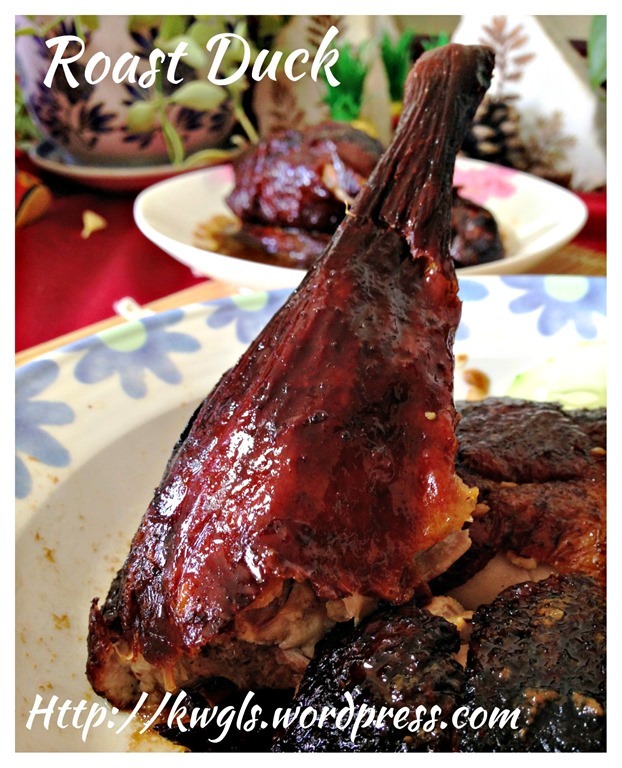 .So unlike my other post, this post will be rather short and without much description on this recipe..
Roast duck is very common in Singapore and Malaysia and usually sold at the roast meat stores together with roast pork and char siu. 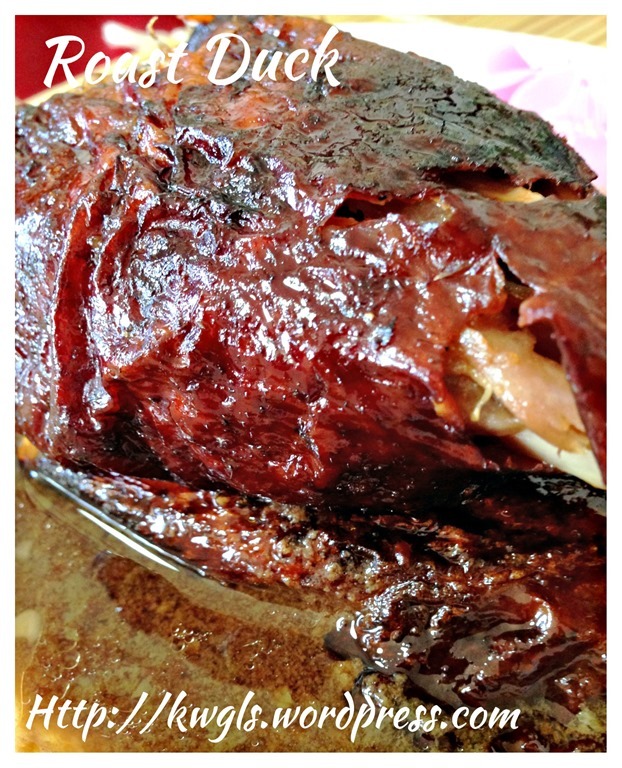 The skin are supposed to be crispy and the meat are tender and juicy. I am not pleased with my roast duck in terms of its outlook as it looked burnt. I am still trying to “conquer” my new oven .. It seems that I still cannot understand my oven well. Part of the bird looked burnt in appearance but in fact, it is not burnt at all. I have tried eating the darkest part of the skin and it still taste delicious and not even a bit of charcoal taste. Taking images in a late afternoon worsen the picture quality, it looked even darker.. Lol. 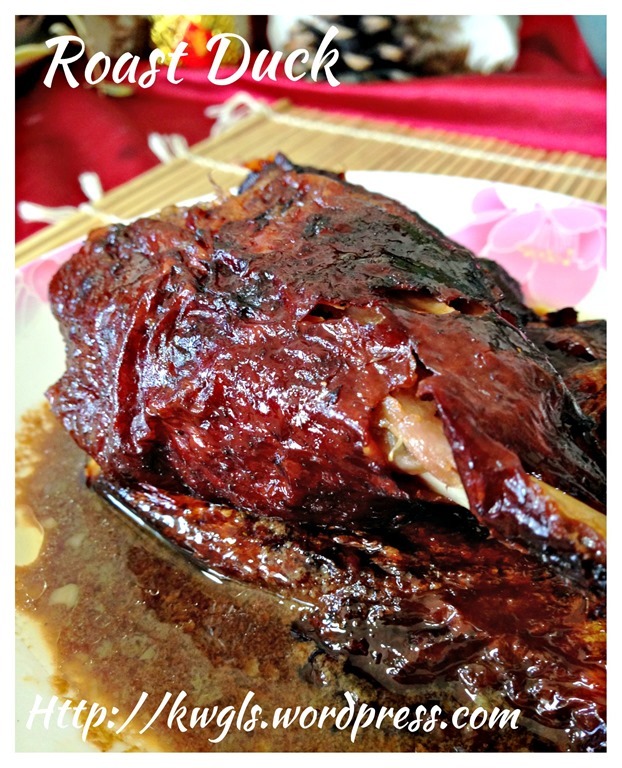 But seriously, I LOVE THIS ROAST DUCK.. 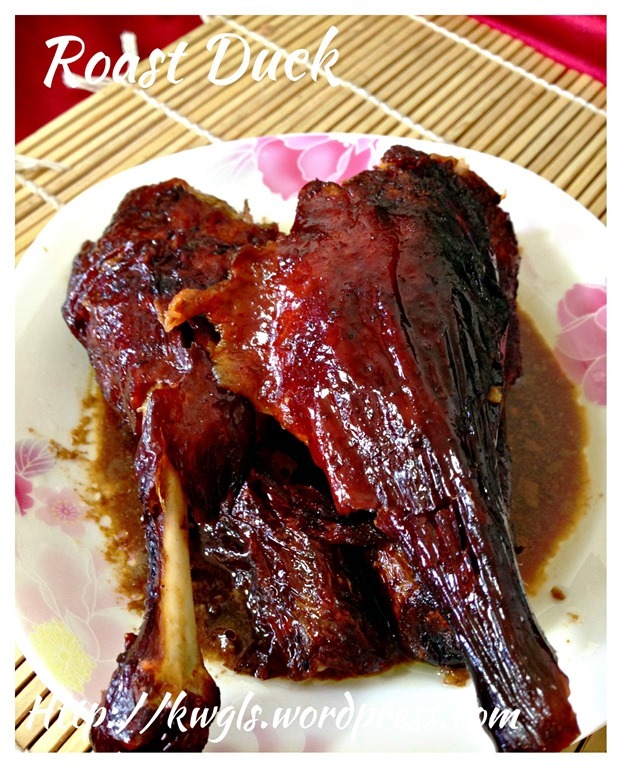 I seldom boast about my recipe but I really like the overall taste of the duck. 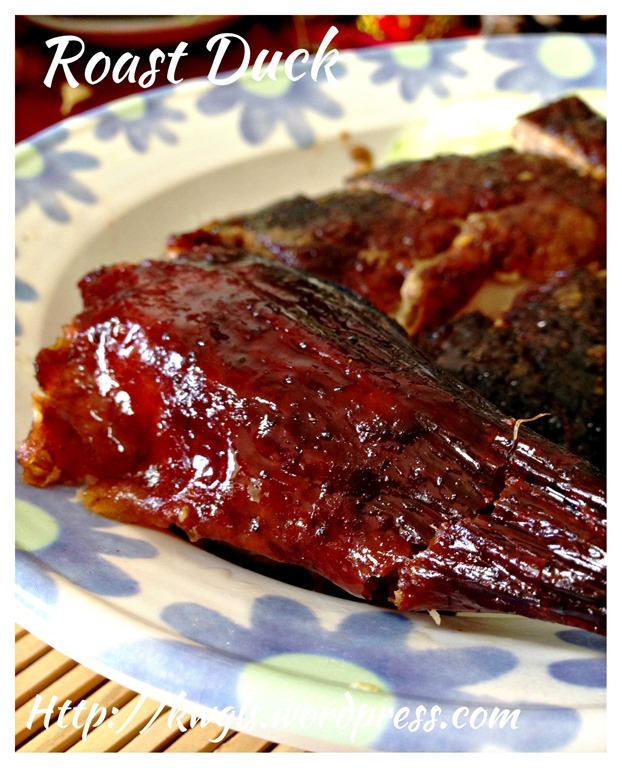 Unlike the store bought version which is rather salty, this duck is on a sweeter side. 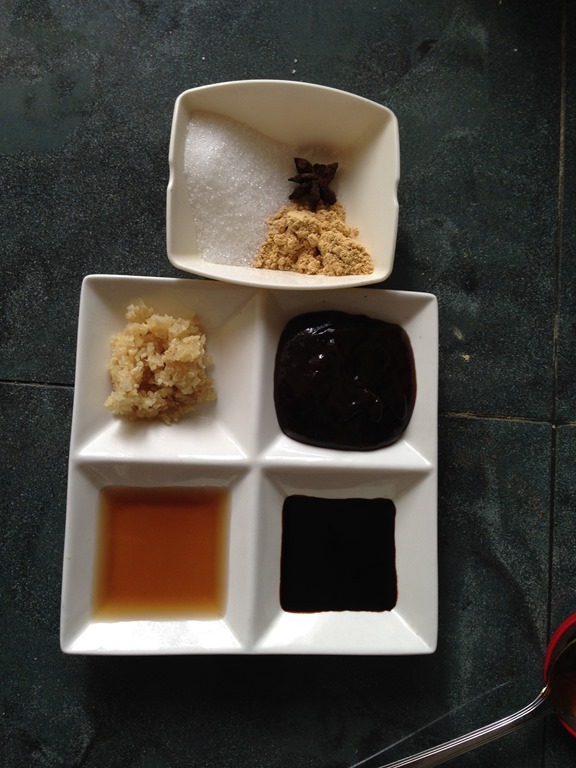 The duck gravy after roasting is divine with a blend of sweet and salty.. 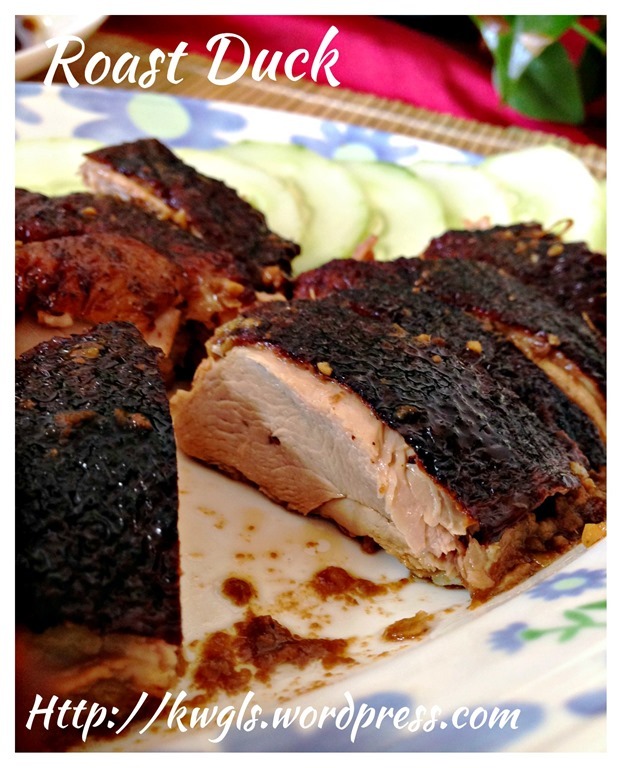 This is a Cantonese roast duck recipe and I did not have any regret of trying out this recipe. 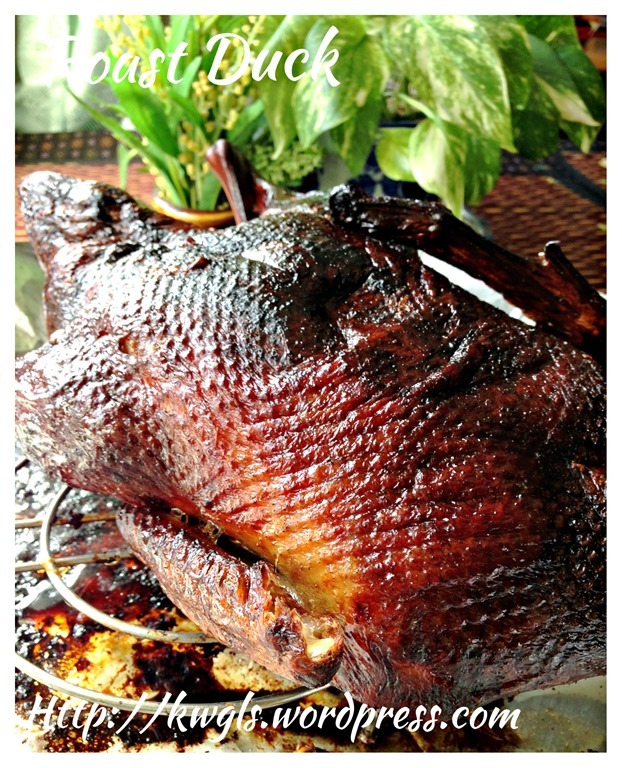 After the Chinese New Year, I will try roasting another duck purely for another session of picture taking. 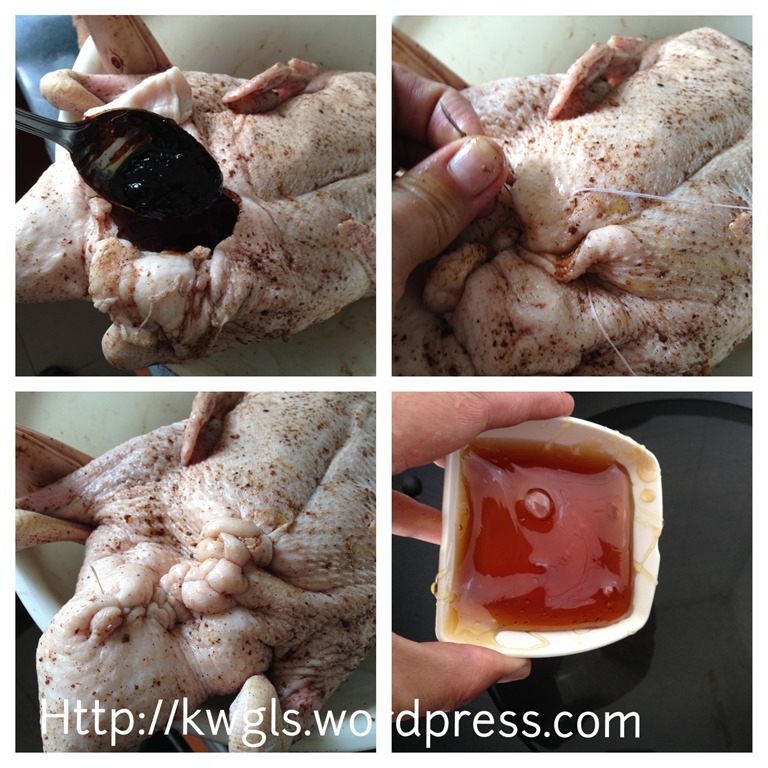 Wash the duck, pat dry with kitchen towel, rub the duck with the dry marinade. Let it marinade for at least 2 hours in the refrigerator. 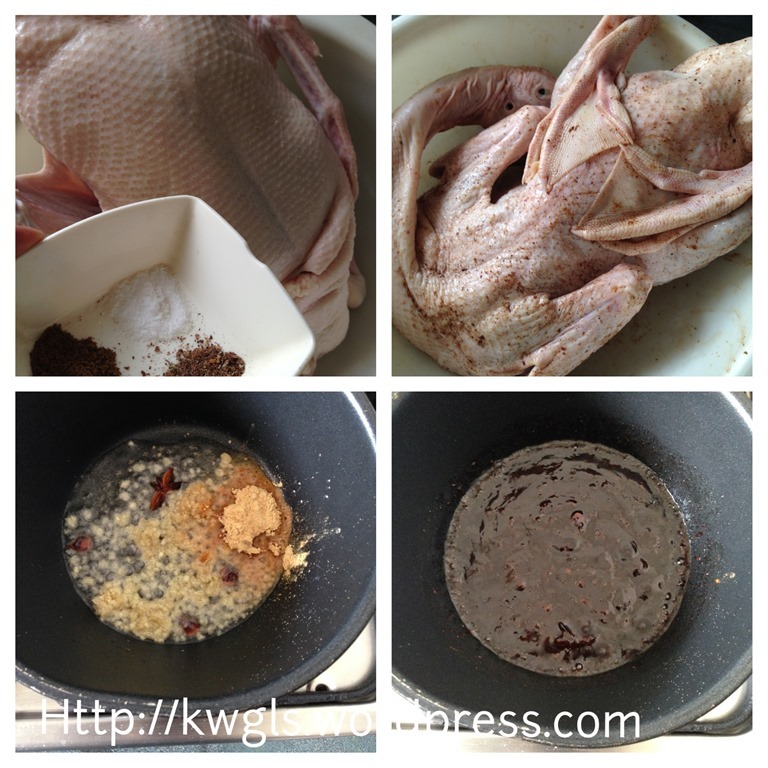 Purpose of this step is the make the duck meat tasty. Meanwhile, in a frying pan, put one tablespoon of cooking oil, sauté the minced garlic, minced ginger (ginger powder), star anise until fragrant. Add in all the other liquid marinade sauces and liquids, bring to boil and let it simmer for 2-3 minutes. Off the heat and set aside for later use. 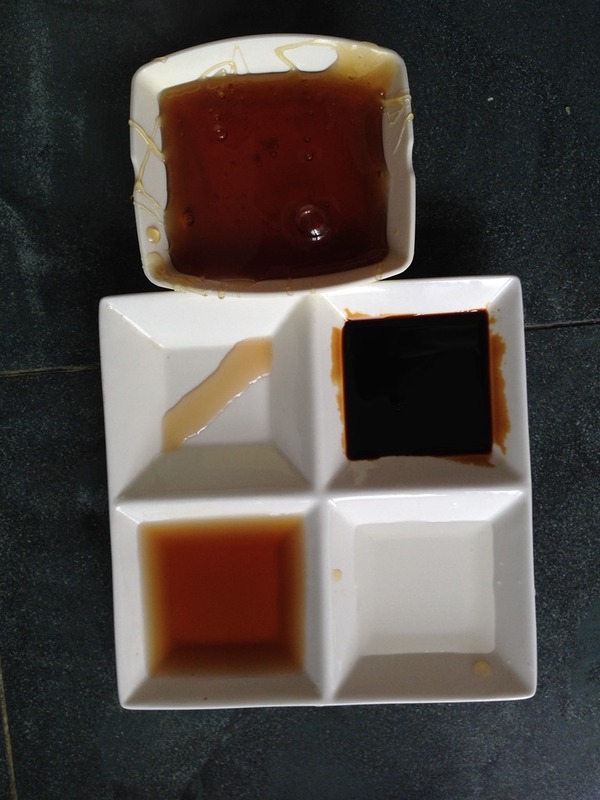 After 2 hours, open the duck cavity and poured the cooked liquid marinade inside the duck cavity. Use a needle with a thick thread to sew and seal the duck cavity. Purpose of this step is to prevent the blanching liquid from entering the duck cavity in the next step. Meanwhile, put all the blanching liquid ingredients in the big wok or pot. Bring to boil. Once the blanching boils start boiling, pour the hot liquid over the duck repetitively until all the skins have contracted. I have repeated this step four times (meaning boiling, blanching, boiling blanching, boiling blanching, boiling blanching using the same liquid). Pat dry the duck using some kitchen towel. 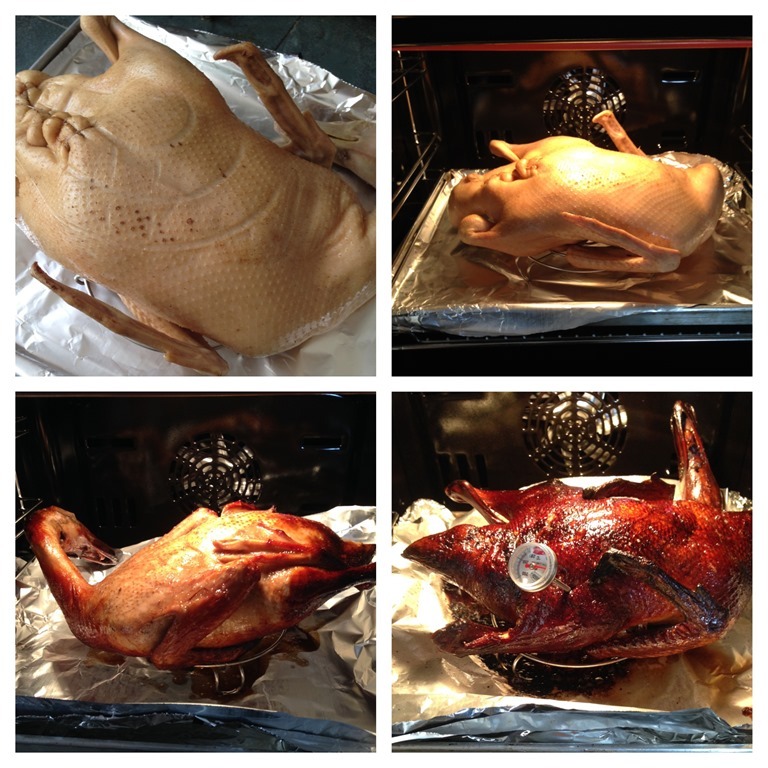 Either air dry or sun dry the duck for 3-4 hours. I have put my duck uncovered in the refrigerator for about 3 hours. By then, the skin will be quite dry. 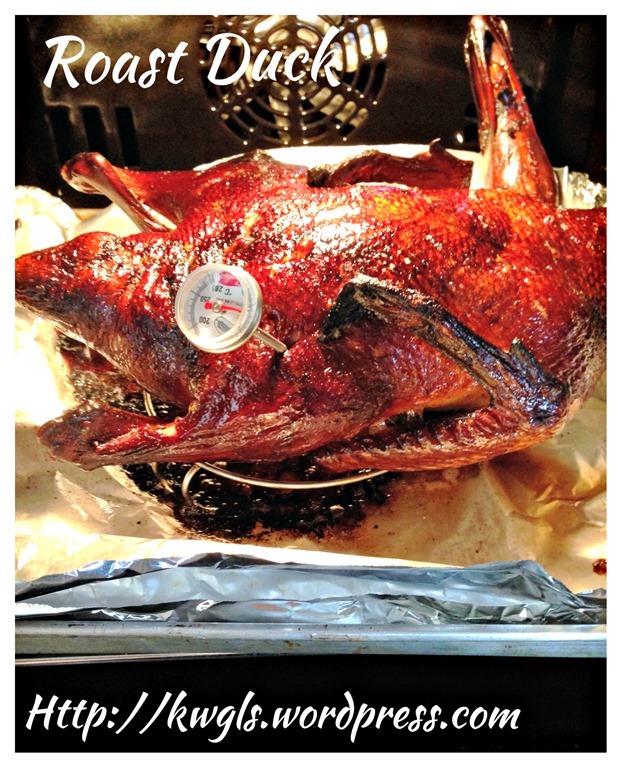 Place the duck on a aluminium tray lined with baking paper. 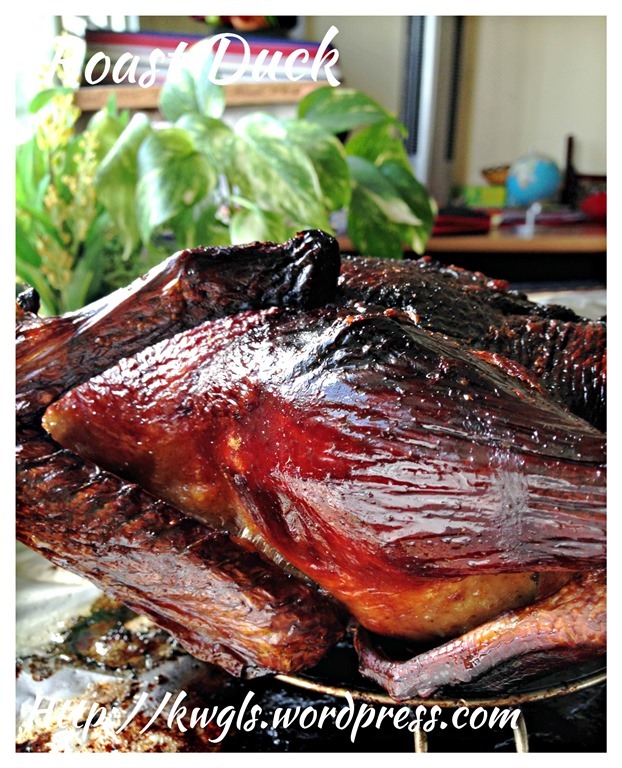 Roast the duck in the pre-heated oven of 200 degree Celsius for 30 minutes with the position of duck breast side up. Turn the duck and baked continue baking for another 20 minutes. Turn the duck back to its original position and roast for another 10 more minutes or until the colour of the duck is rich browned. 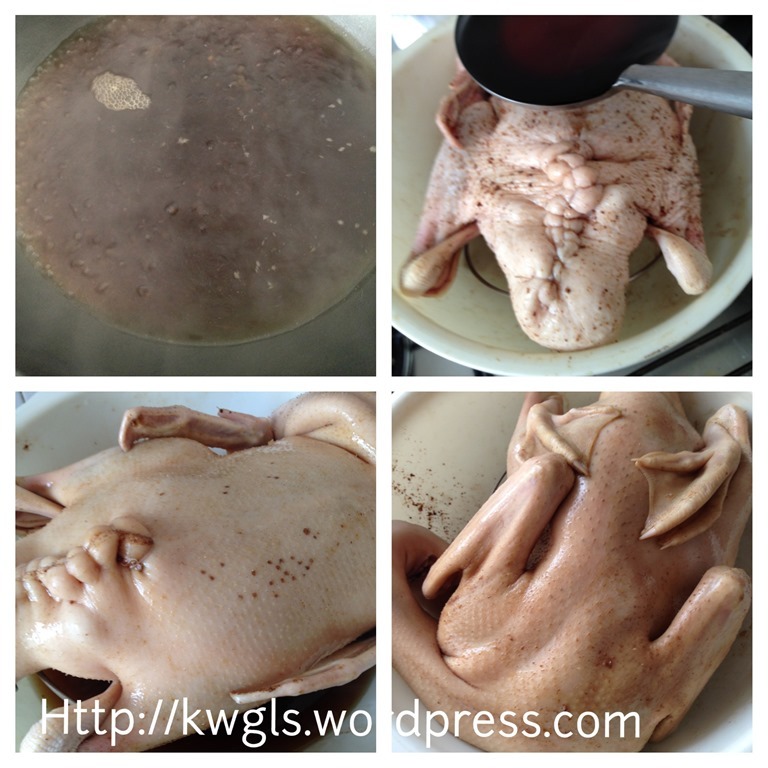 When the inner temperature reaches 80 degree Celsius, the bird is considered as cooked. 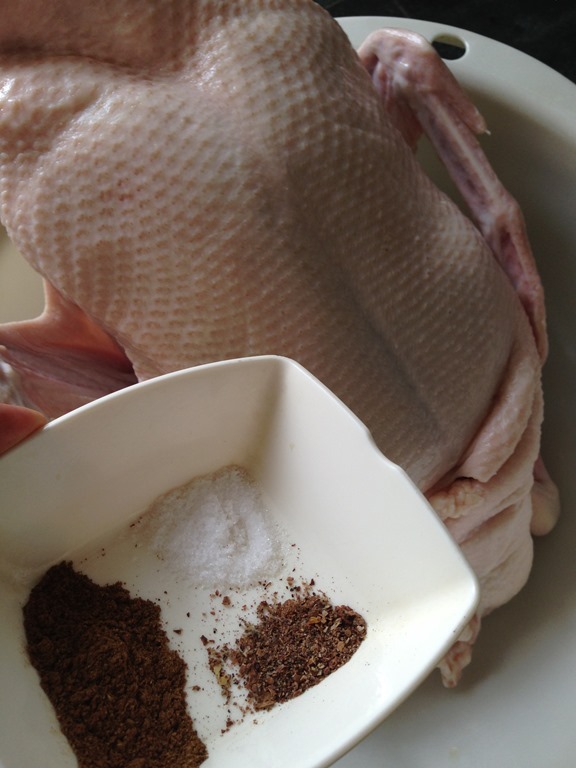 Once the duck have slightly cooled, cut and remove the string and let the meat juices and marinade drain to a bowl. Cut the duck into preferred sizes and drizzle with the meat juices collected earlier. After this attempt, I seriously believed that roast duck is not as difficult as what I thought earlier. Once again, I loved this roast duck for its delicious taste and the failure of the outlook is possibly due to the temperature unevenness of the oven. 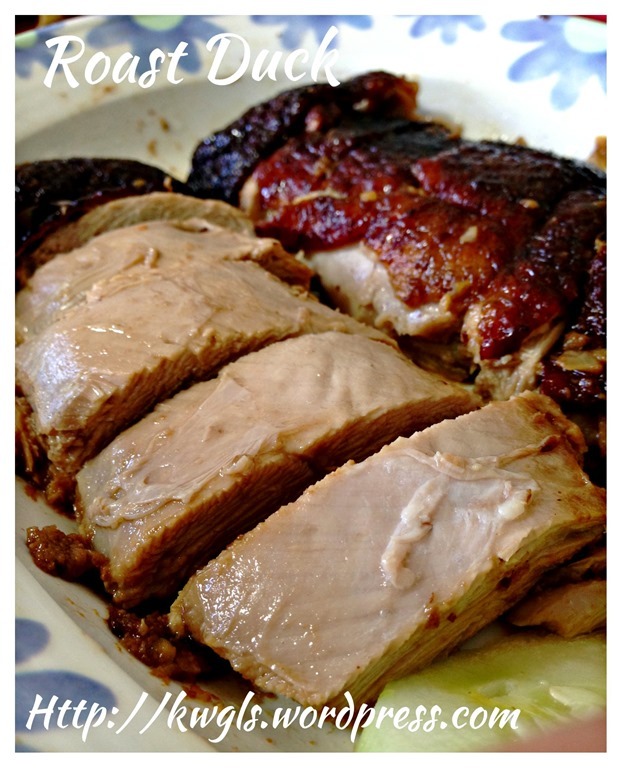 This entry was posted in Chinese New Year 2014, Food Preparation Series, Meat Dishes and tagged 8, chinese roast duck, 烤鸭，广东烤鸭, GUAI SHU SHU, Guaishushu, kenneth goh, peking duck, postaday. Bookmark the permalink. Can I add dang gui to this duck recipes? If yes, roughly how much should I add? Yes you can. I can’t give you a measurement or method as I never used it before. I say so because there is such a product in the market. I presumed you have to go to the TCM shop to buy the tangui powder or just insert one pieces insides the duck while roasting. My best guess.